Since Kaibosh opened our second branch in the Hutt in 2015, Vibe has collected food from us. By using this food, Vibe has more than tripled the number of school drop-ins they run each week. As well as being the young-person-magnet to start important conversations, the food that we provide also gives Vibe a way to make sure these young people are going back to class with their tummies full. A healthy lunch plays a huge part in making sure we get the most out of our days, and that’s especially important for young people with an afternoon of learning ahead. 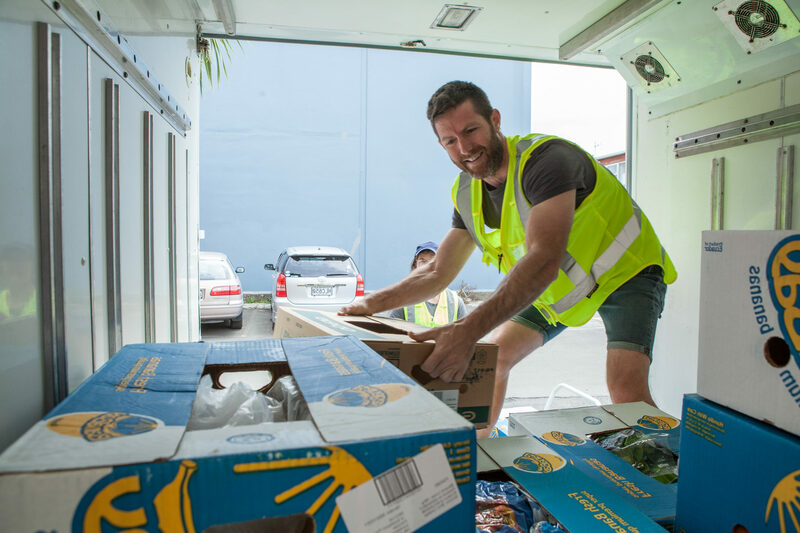 Vibe is just one of over 50 different community groups that we support across the Wellington Region, and at our last estimate, food from Kaibosh is reaching more than 4,000 people in need each week. Kaibosh can only do this with the help of our community, so to everyone who supports us in our work, thank you. You never know – that sandwich made from bread that a local supermarket donated to Kaibosh, filled with fresh vegetables rescued from Sunday’s vege market, might just have been made possible by you. It could even be the exact sandwich that means a young person makes an invaluable connection with support services at Vibe. Help us fill more tummies by donating now or joining Food Rescue Heroes, our supporters’ programme.